Health-conscious Conejo Valley families choose the Schroeder Center for Healthy Living to maximize their health and with it revolutionize their lives -it’s a place where people come to add life to their years, not just years to their life. Young kids, grandparents and everyone in between can benefit from our wellness consultation and care. Our chiropractic practice offers natural relief of chronic pain, headaches, disc disorders and personal injury cases. Schroeder Center for Healthy Living is a family practice and as such, we are dedicated to the health of our patients and their families. Many on our staff have been a part of the practice for over 20 years and all share our deep commitment to delivering the highest levels of care and service. Our experienced practitioners – Dr. Terry Schroeder, Dr. Lori Schroeder Dr. Eran Bikovsky and Dr. James Perry – have made over 1 MILLION adjustments so our patients know that they’re being given the safest and most effective care available! Please take some time to explore our website so you fully understand what chiropractic is, what chiropractors do and what you can expect in our office. When you’re ready, call or email our Conejo Valley office and together we will explore how our approach to wellness can be your solution for a fuller, healthier and more vibrant life. 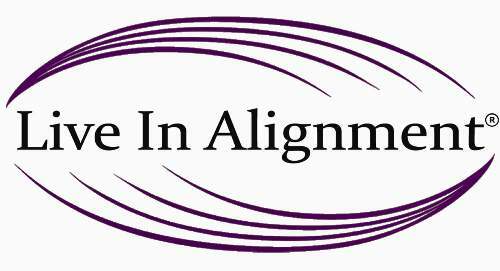 Live in Alignment! Schroeder Center for Healthy Living offers chiropractic care for the entire Conejo Valley community including: Agoura, Agoura Hills, Calabasas, Hidden Valley, Lake Sherwood, Newbury Park, Oak Park, Thousand Oaks, Westlake Village. Felt improvement already after the 1st visit. Offices are clean and welcoming. The doctor was very pleasant and skilled. Happy to be back in Dr. Eran care. I feel very comfortable and all of the staff are very nice and very friendly. Dr. Terry has always taken good care of me and always fixes me. Thank you very much. Wonderful experience. 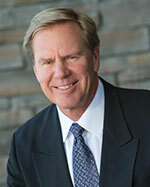 Dr. Terry and his staff are friendly, helpful and knowledgeable. Everyone in the office is friendly and helpful. Your office is very welcoming and inviting. I am so happy I was referred here. Services are affordable and competitively priced. Whole health is promoted and that’s the key to overall health. I’m now looking forward to my next visit. Nice staff and beautiful and clean office. We have been to other chiropractors, but this is the best experience we have had. My husband walked away feeling better and has continued to improve every day. The overall professionalism of Dr. Terry and the entire staff is so appreciated and refreshing. Most importantly, my back pain I’ve dealt with for six months started improving after only two visits! I walked in with pain and walked out without pain. Highly recommended! I’ve been coming here for years. I wouldn’t go anywhere else. Nice office. First ever experience with a chiropractor and left looking forward to my next visit. So glad I found you! I’m telling everyone about you! Thank You! A lovely environment with excellent services. Always feel satisfied upon my leaving with the attention I received from a professional staff. Rita was wonderful. Feel like a million! Thank you! Will recommend to all my family and friends! Fantastic chiropractor. I felt very well taken care of. Everything was professional and service was excellent from start to finish. Everyone is really super fantastic – thank you!!! Terry is the absolute best!